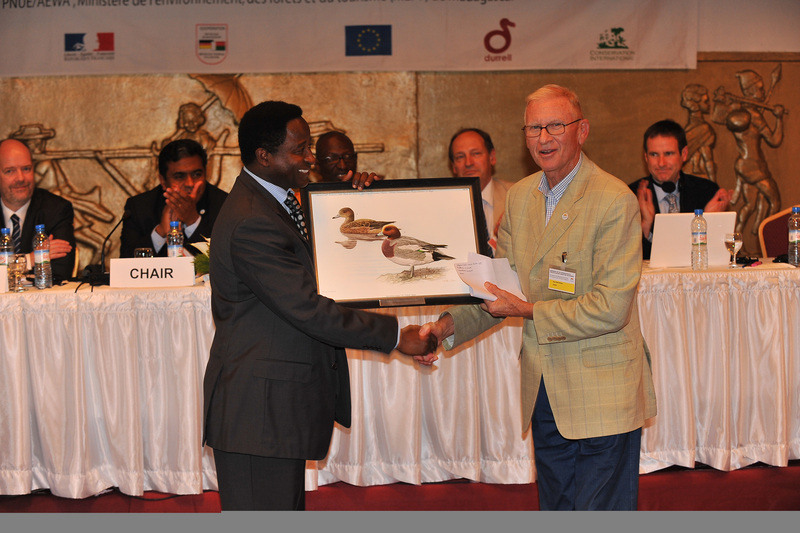 The fourth Meeting of the Parties (MOP-4) to the African-Eurasian Waterbird Agreement (AEWA) opened today in Antananarivo, Madagascar. 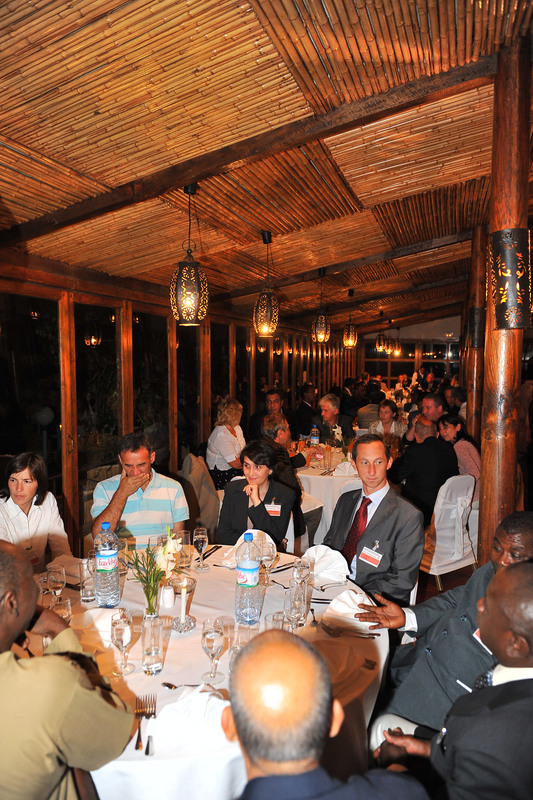 Delegates heard opening statements, addressed organizational matters and witnessed the AEWA Award Presentation Ceremony. 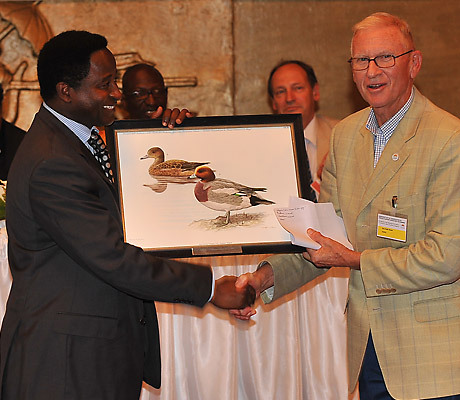 Mark Anderson (South Africa) received the Award in the individual category, and Oiseaux Migrateurs du Paléarctique Occidental (OMPO) in the institutional category. 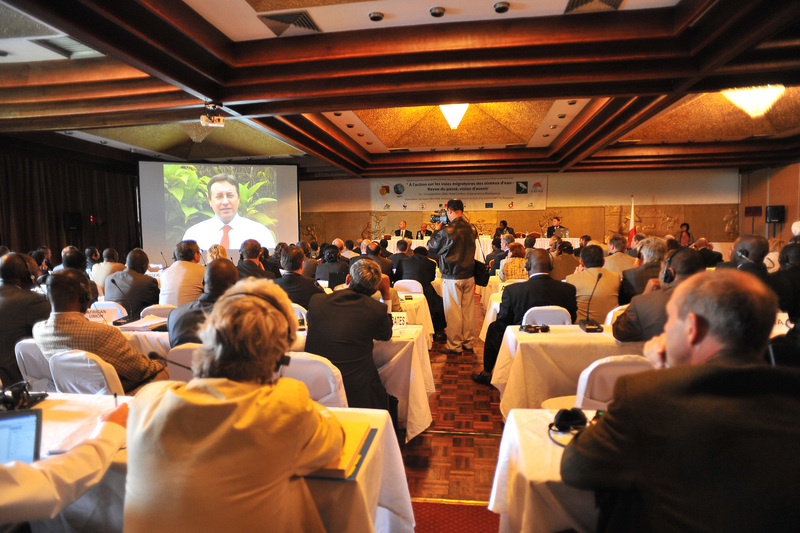 Delegates also addressed reports on the implementation of the Agreement and Action Plan, phasing out lead shot for hunting in wetlands, and international reviews on five technical issues: the conservation status of migratory waterbirds in the Agreement area; hunting and trade legislation; Single Species Action Plans; Re-establishment Projects; and the status of introduced non-native waterbird species. 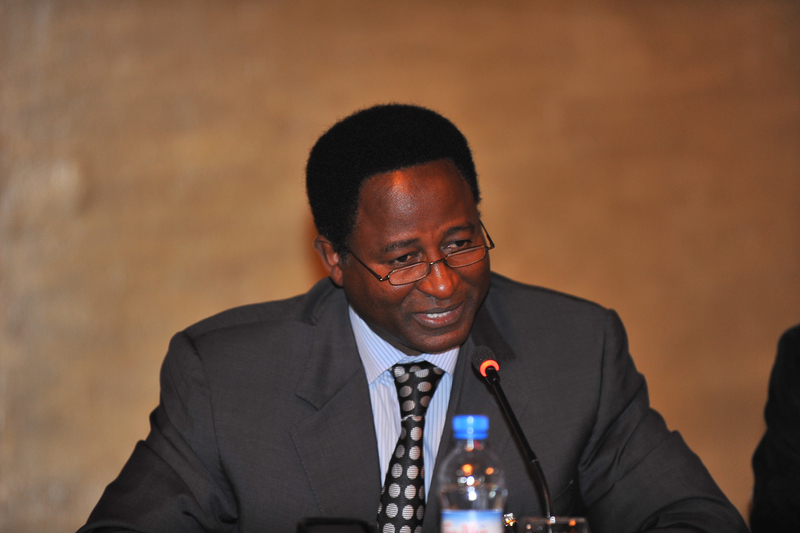 The meeting established an International Review Panel and concluded the day with an official opening ceremony. 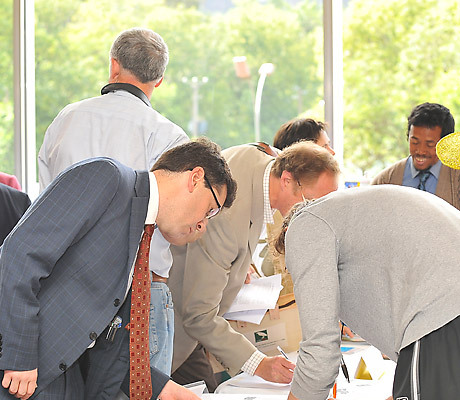 Participants registering for the event in the morning. 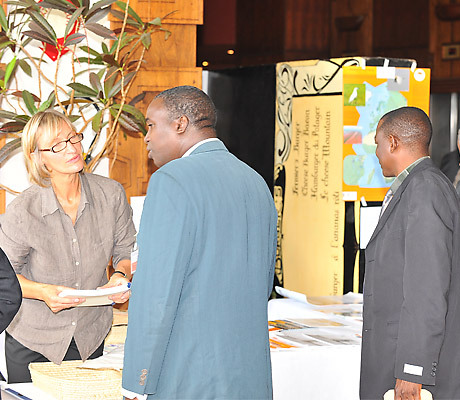 Participants waiting for the opening session to begin. 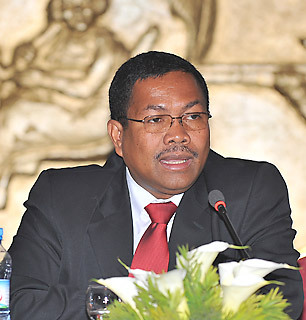 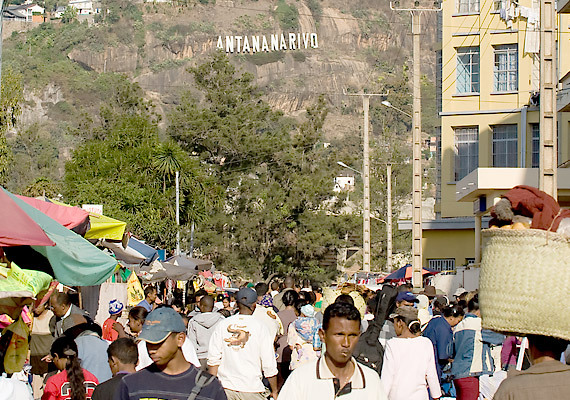 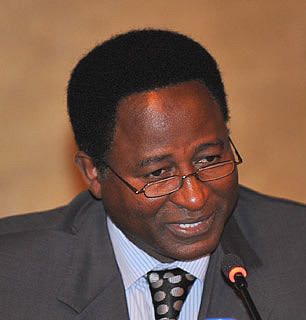 Harison Edmond Randriarimanana, Minister for the Environment, Forests and Tourism, Madagascar, emphasized the need for Intra-African studies on implementation. 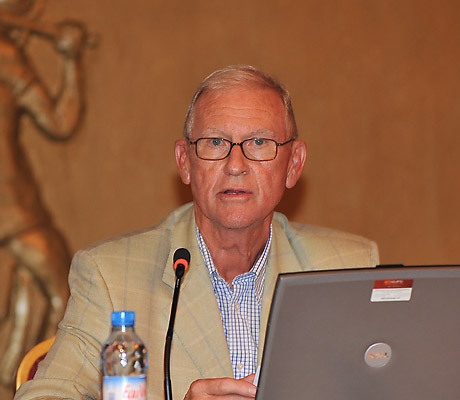 AEWA Executive Secretary Bert Lenten said much has been achieved since MOP-3, but species declines indicate more must be done. 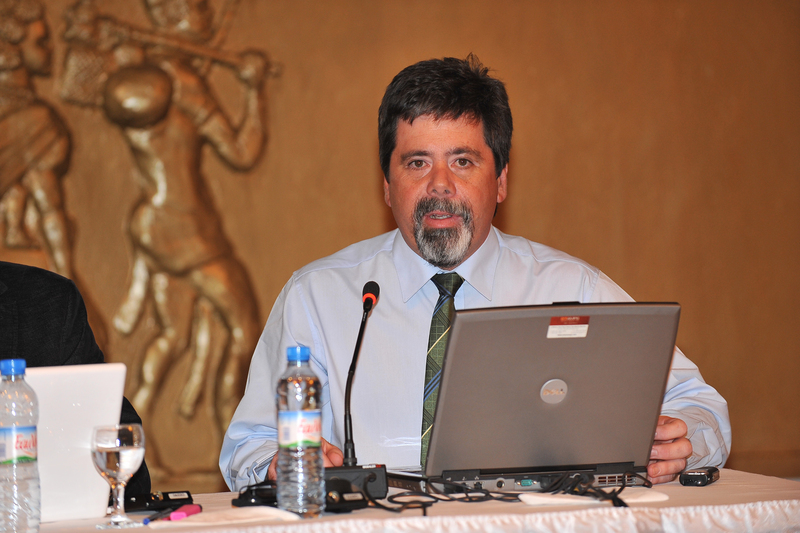 AEWA Standing Committee Chair Erasmus M. Tarimo urged parties to follow through on financial commitments. 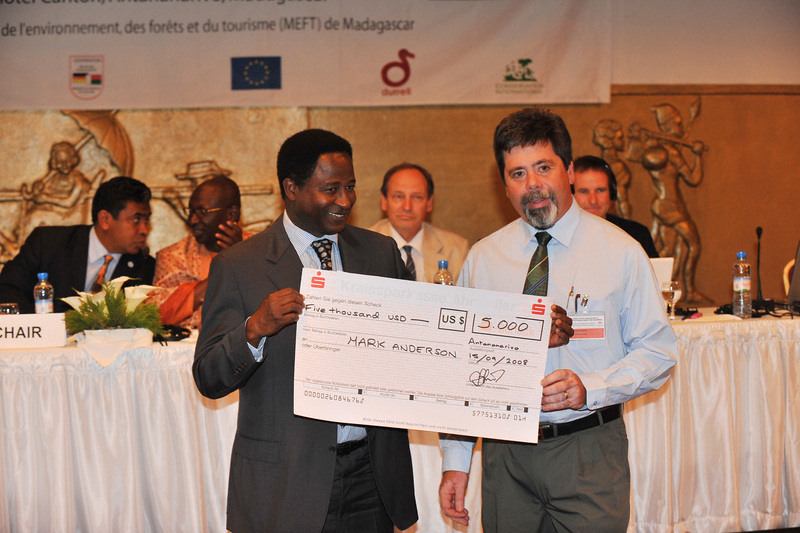 In a video broadcast, Achim Steiner, Executive Director of the United Nations Environment Programme, expressed hope that Madagascar’s recent commitment to increased biodiversity protection would inspire all AEWA participants. 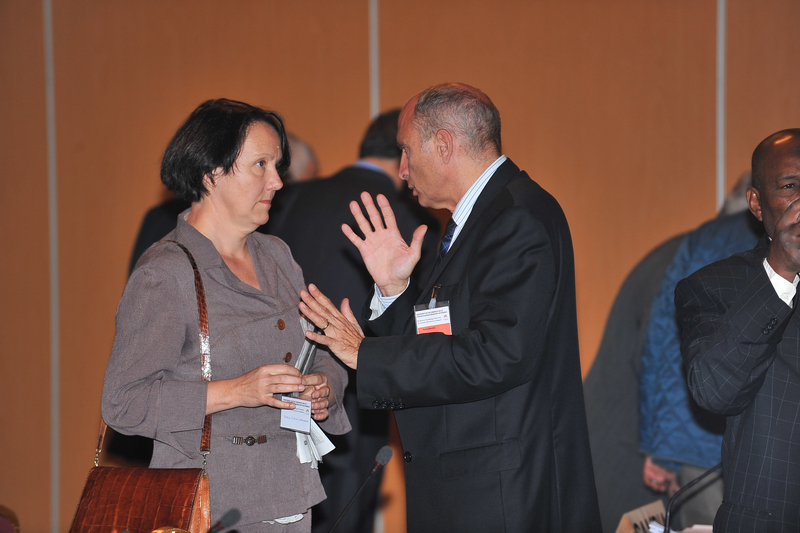 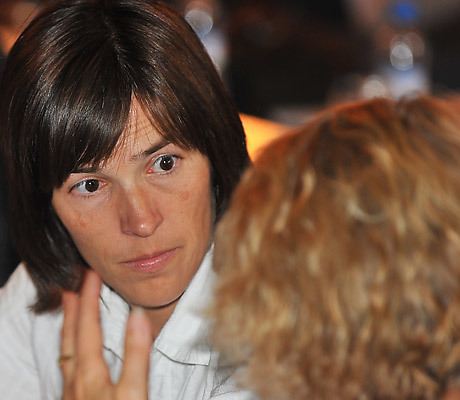 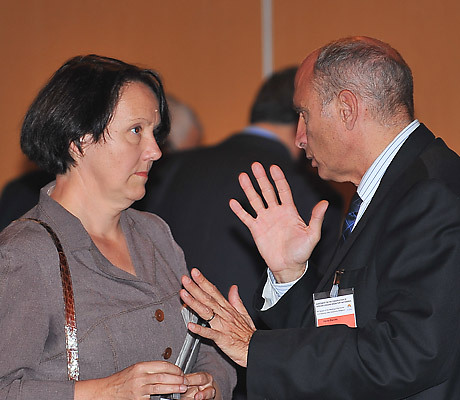 Participants conversing during a break. 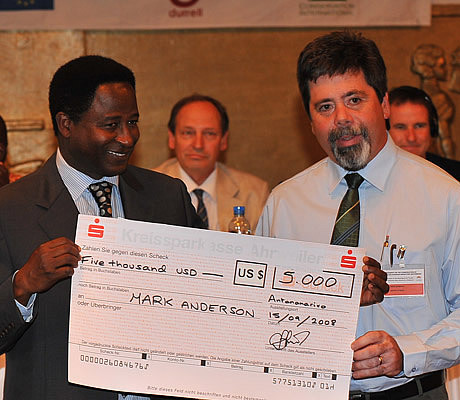 Mark Anderson, South Africa, received the AEWA Award in the individual category and gave a presentation on his efforts to conserve the lesser flamingo in South Africa. 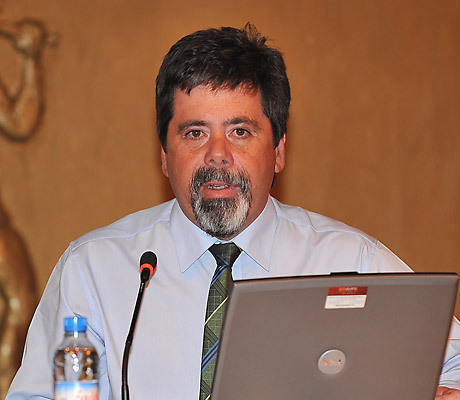 Guy-Noël Olivier, France, received the AEWA Award in the institutional category on behalf of Oiseaux Migrateurs du Paléarctique Occidental (OMPO). 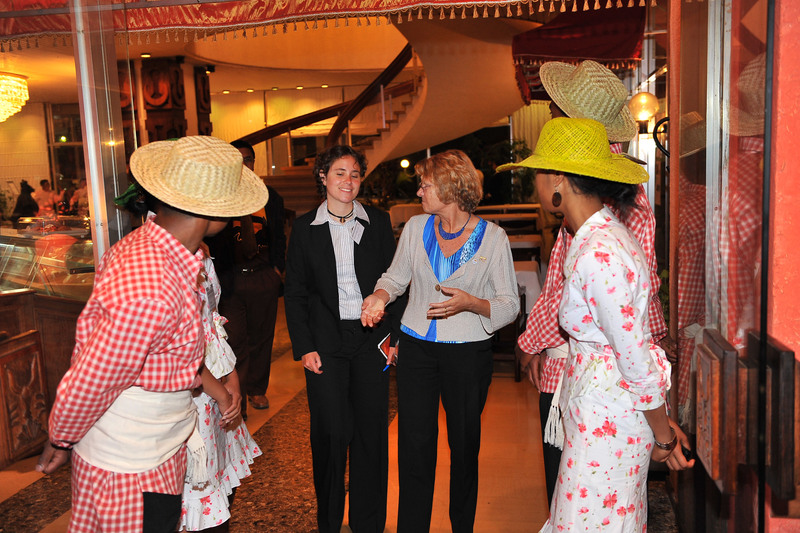 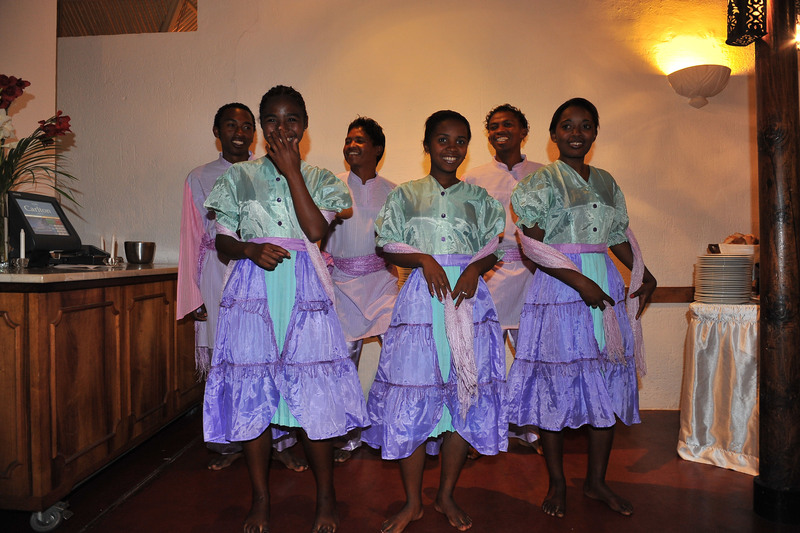 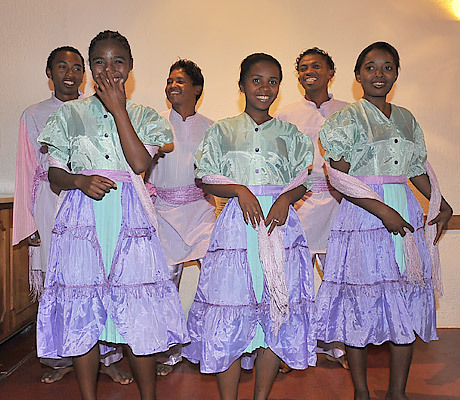 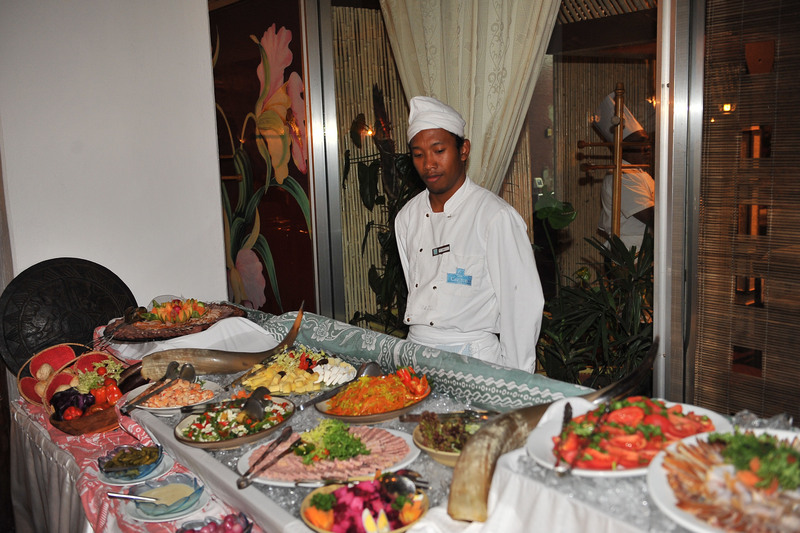 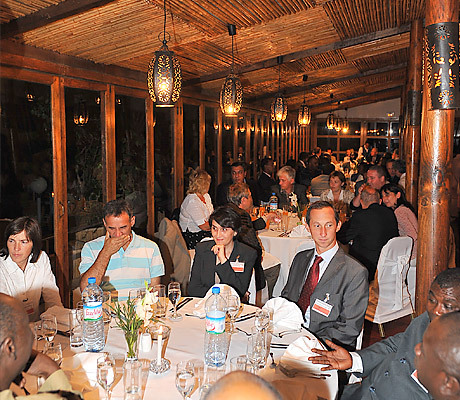 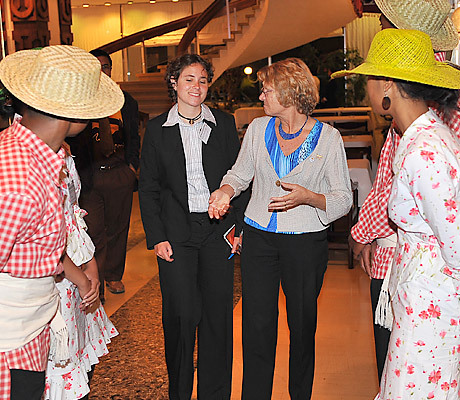 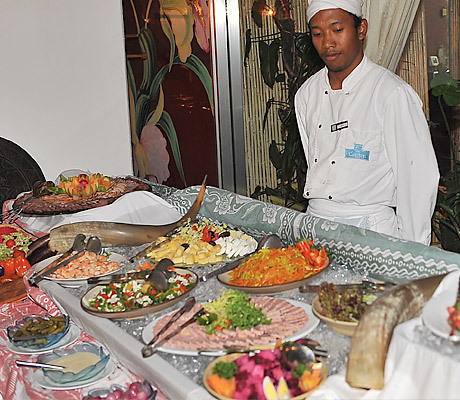 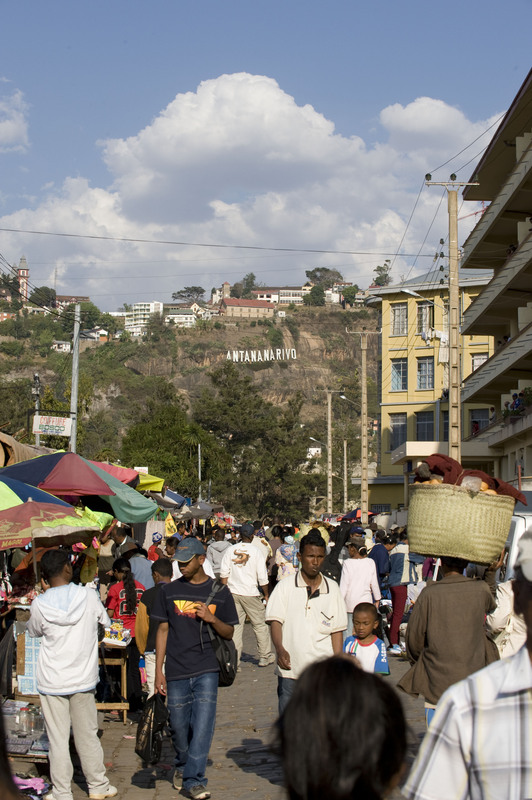 In the evening, the Government of Madagascar hosted an official opening ceremony and a dinner for the participants. 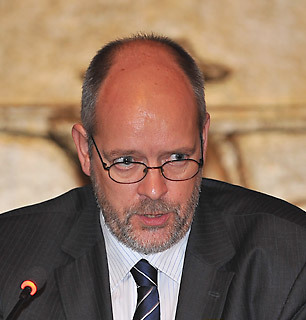 CLIMATE-L - News and information on the actions of international organizations in responding to the problem of global climate change.